All posts tagged: "Health Auckland"
Home > Posts Tagged "Health Auckland"
Everything we do in life is a form of reception and transmission of energy. This involves not only eating and breathing, but also sensing, feeling and thinking. When I am accessing a persons health their vitality//life- force or Prana is one of the first considerations. Recently I have had an injury and treatment involved going to several different therapists. This was an interesting experience – the clinical environment, the impersonal text book treatment was annoying and unsuccessful. When I experienced good rapport where the therapist could transfer some healing (spiritually energised prana) the difference was palatable. It reinforced how important it is to create a loving save space for people to come when unwell. For everyone who comes for a treatment at Ayurveda Health, whether bodywork, Yoga or Health consultations, our aim is to make them feel better and more empowered by the time they leave. All Ayurveda treatments from diet and herbs, to bodywork and meditation are ways of treating prana. The deep energy we extract from food is a vehicle for prana, herbs correct the movement of prana and touch is the sense through which prana is conveyed. Body work and yoga loosens pranic blockages and meditation opens the prana of the mind. Behind most degenerative diseased states or those that are difficult to treat is chronic low energy or fatigue. Sometimes treating through diet and lifestyle is not enough and we have to look at other contributing factors such as shallow breathing, sensory perception, and proper association. To change we need to recognise and remove the factors that drain our energy. This can mean changing environments and negative relationships. When energy is chronically low we must be dissipating it or not renewing it properly. There are several sources of energy. First there is your congenital (what you are born with) energy. Some are blessed with a strong constitution others are not. Kapha types tend to have the highest Ojas or immunity. Vata have the least, with Pitta in between. Second there is the energy we bring in through the outside mainly through food and breathe. Devitalised foods and hurried or shallow breathing take their toll. Third are the factors that produce energy through the mind. Gossip, worry and excess thinking dissipate energy – mediation, mantra, silence and peace of mind increase mental energy. Love itself is the highest and most nourishing form of prana. Love can keep people alive that would otherwise die. It can raise our prana from its deepest depths and therefore love has such a healing force. Easy ways to raise your vibration. 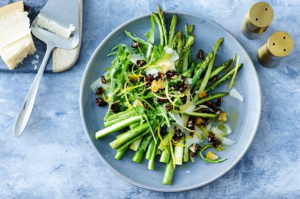 In early spring, your body starts to crave snappy and refreshing textures like fresh asparagus. 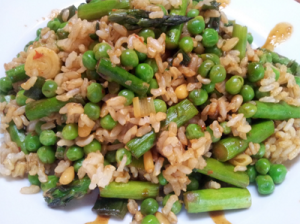 Asparagus is a strong diuretic to relieve spring water retention. In Ayurveda, we see Asparagus as good for all doshas. Sweet, astringent, bitter, cool, light and moist. It is ideal for Pitta. It stabilises Vata and lightens and stimulates Kapha. It can be steamed and eaten with grated ginger, lemon juice and a splash of good quality nut oil. 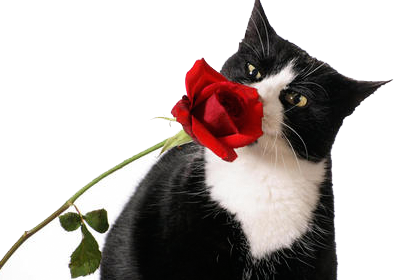 It has been awhile since I have written a newsletter which is unusual for me. This reflects the pace of my life. Certainly after 19 hours of lectures my thoughts on probiotics are that they will be more effective when prescribed by a qualified practioner to create the right effect. I certainly feel more confident in being able to advise in this area. Modern science validates the Ayurveda Principle that all disease begins in the gut – and the first step is always to correct digestion. We are after all what we “digest, not necessarily what we eat”. *This newsletter focuses on a common gut condition – constipation, which is a main digestive system disorder, resulting in retention of waste materials in the body, affecting our vitality and health. *Also included is a recipe for a warming & nourishing green soup providing nutrients galore. 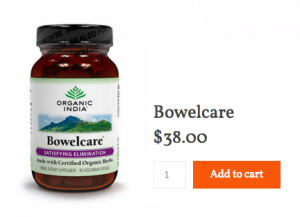 *Featured products that can assist with a “lazy” bowel – Triphala and Bowelcare. The most common condition I see in the practise is Constipation. It reflects that elimination is not occurring and therefore the ability to be fit, healthy and vital is compromised. Constipation is diagnosed when there are less than 3 bowel motions per week. Other symptoms are hard stools that are difficult to pass, or a sensation of incomplete evacuation. Ideally one should have an easy bowel motion first thing in the morning. The stool should be soft, easy to past, well- formed and float. Often accumulation of toxins is indicated by a thick coating at the back of the tongue. 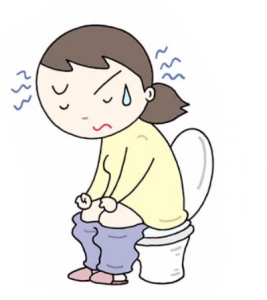 Ayurveda considers constipation as mainly a Vata disorder, particularly when it is a long standing. Causes are typically dietary with too much dry or light food, irregular eating habits, medication, sedentary lifestyle and lack of fluids. Psychological factors such as insomnia, worry, grief and fear may also be a contributor. For any form of constipation that is not severe the first step is to improve digestion with the right use of spices to normalise the agni or digestive fire. Ginger, cumin and fennel are all excellent choices. Herbs such as Triphala which tones and strengthens the colon are preferable to purgatives. Consisting of 3 berries Triphala nourishes the bones and nerves and increases general well-being. It helps to push out water-soluble toxins through the lymphatic system and the kidneys, as well as to remove the accumulated toxins that causes an overgrowth of the bad microorganisms in the GI tract. Triphala is considered a rejuvenative formula, so it not only helps to treat diseases, but it helps to promote health. Castor oil in ginger tea taken at night is excellent for severe constipation as it is not drying to the colon, bringing a snehana (lubricating action). Yoga postures such as forward bends and abdominal twists that focus on moving the stomach and intestines in all directions to aid the digestion process. This stimulates the flow of blood to all parts of the intestines and generally helps food pass through easier. Ensure that the diet has an adequate intake of oily and bulk foods. These include dairy products, nuts, whole grains, juicy fruits and good quality oils. Don’t forget the fluids!! Bowelcare facilitates bowel movements helping to remove toxins and waste. It seems to assist in regulation of peristalsis and I have used in treating IBS quite successfully. It contains three well known and loved herbs used regularly in India. Bael leaf (Aegle marmelos), Garden Cress seeds (Lepidum sativum), and psyllium husk (Plantago ovata) combined to create a formula gentle enough for everyday use and effective in balancing the digestive tract. Bowelcare combines well with Triphala. 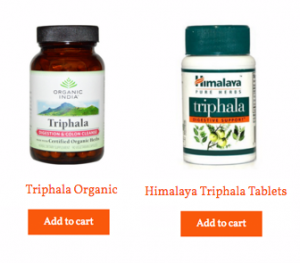 Triphala is a herbal bowel cleanse and very useful for constipation. It aides in the elimination of intestinal toxins and gas. It improves digestion and helps to regulate metabolism. Good for people of all ages, it can be taken long term. Triphala is considered a rejuvenative formula, so it not only helps to treat diseases, but it helps to promote health. It’s called a rasayana, an herbal formulation that helps to promote health long-term. Ingredients are three berries – Amalaki, Vibhitaki and Haritaki. It is available from the clinic in powder and capsule form. ▪ 2 cups of chopped greens, such as kale, spinach, swiss chard, mustard greens, packed. Add the cilantro and cover, bringing to a boil, then reduce the heat to simmer while covered and cook for about 20 minutes until greens are completely soft. Remove from the heat. Blend until smooth Adjust the seasonings if necessary, and return to simmer, 15 more minutes. Add a squeeze of lemon and then serve! Your body is designed to preserve its own health. It is constantly replenishing its cells. Every second, several million red blood cells are removed and replaced from your circulatory system. Every five days your stomach lining is renewed. Every thirty days, you have a brand new protective skin. Every ninety days, your body turns over all the molecules that make up your bones. Why do we not get well? If one has clogged blood vessels or intermittent headaches, it won’t necessarily be obvious to see how acrylamides in crisps, casein in pasteurised and homogenised dairy, free radicals in cheap vegetable oils, sugar, aspartame, and the multitude of other disease-causing compounds found in our diet are injuring our cells internally. With the abundance and endless varieties of foods available from our supermarkets why is it impossible to feel nourished by what we buy? 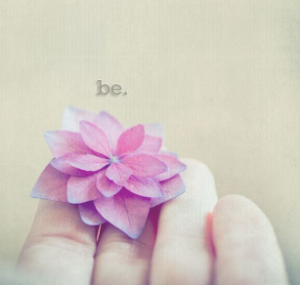 It is simple …. nature is not in command. Often our foods are sweetened, emulsified, stabilized, salted, irrigated, bleached, blanched, polished, degermed, sprayed, anti-spoiled… By the time some of the food reaches our tables it is loaded with more chemicals than a chemist shop. Additionally, it is hard to observe the damage that stress-related compounds released because of anger or anxiety does to our organs. What happens to our energy stores when we act against our own values or respond out of fear? Where does our “moral compass” come into play when preventing illness or getting well. 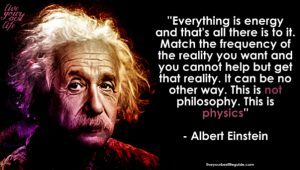 We all know about good food choices, good lifestyle choices, exercise, sunlight, positivity and stress-coping techniques, – but it can be hard to remain focused and motivated when you can’t see the effects of our choices in real-time. I am always so surprised when people expect immediate relief in conditions that have taken years to manifest. Most alternative therapies require some form of self-responsibility. What Then Does It Take To Stay Healthy? Everyone in today’s World who wants to be healthy, has a personal responsibility to learn as much as possible about health. We have a huge amount of information available to us, which can be very confusing and overwhelming. Ayurveda teaches us to take personal responsibility by experiencing ie you need to participate in Ayurveda to understand it. In Ayurveda food and actions are the keys to healing. We hear a lot about food but not so much about actions (and how energetically they can affect us). Ayurveda can’t prevent someone from aging or death. But it can strengthen body and mind to make the journey of life more enjoyable. The Ayurveda perspective is to get away from the idea of quick fixes that is so firmly entrenched in our culture. Most healing takes time and commitment. We need to heal not only the body, but mind and spirit. Both Yoga and Ayurveda aim in gradual and natural deep internal changes. Not forced or superficial. Below are some tips that I hope you find useful. I very much enjoy the fresh chutneys to add digestive power, but also taste to foods such as Risottos or other rice or meat dishes, that need a little zing. 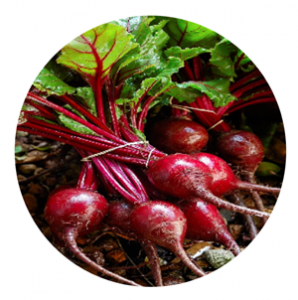 In Ayurveda Beetroot are best for Vata constitutions because they are sweet in taste, warm, moist and add mass. However, for Pitta types a small amount of juice can be therapeutic for liver conditions. The medicinal properties of Beetroot utilized in Ayurveda are for uterine disorders, constipation and hemorrhoids. As beetroot are economical and still in season, this is an easy and appropriate recipe to try. Blend one large boiled and skinned beetroot with 1 tsp each of toasted cumin seeds, coriander seeds and black peppercorns. Sauté 1 small red onion 2 cloves of garlic and 2 green chilies. Add 1 tsp salt, 30 grams fresh coriander, 1 tblsp Tamarind sauce, a tomato (skinned) and the juice of one lemon. 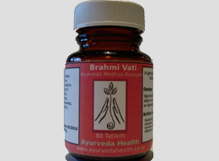 Bramhi Vati – A traditional Ayurveda formulated product containing Bramhi, Ashwagangha and shankapusphi herbs. Click here to buy now. I like this saying… Often we work in a man’s world, trying to keep up with our male counterparts, forgetting that physiologically and psychologically we are very different species. 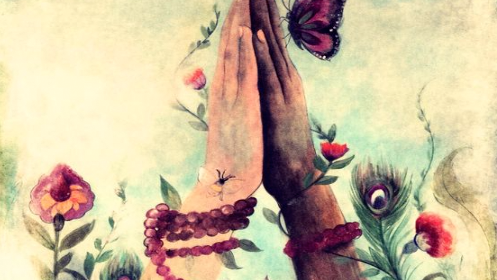 Recently I went to a gathering at Lulu Lemon where I was invited to speak on Shakti – this is the female energy in the womb of every female – a women’s Shakti has the power to give life, create, nourish and nurture. It made me think how as women we have really reduced our female power to the shadows. What women need to entrust is their internal rhythms. 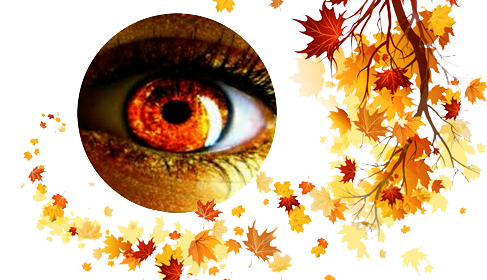 There are certain times where we are more vulnerable, such as change of season, menarche and menopause, and during our moon cycle….. where our immune system can wan. Hence we cannot always bring our “A” game – sometimes we need to retreat, slow down and reassess our priorities. Often I see women working hard out at the gym and opting for vigorous yoga practices when they are on their cycle. The old adage of taking time to rest and to care for themselves during their menses does not seem to occur. Vata When out of balance the menstrual cycle can become irregular, or it can be unusually long. Blood flow may be light and the colour of the blood is often dark. Maybe be accompanied by feelings of anxiety, nervous tension and insomnia. Cramping, lower back pain, joint pain is also common. There may also be abdominal discomfort, bloating or constipation. Pitta For women with a Pitta imbalance, there may be food cravings and increase appetite plus feelings of irritability and anger. Often the skin erupts and headaches, diarrhea, and hot flushes occur. Blood flow tends to be heavy and the colour of the blood is usually bright red. Kapha With Kapha imbalance, the cycle is regular and is often accompanied by bloating and weight gain. Breasts can be swollen and tender. There is often a feeling of heaviness, achiness and stiffness in the joints and the back. Lethargy, oversleeping depression are common. Blood flow can be heavy and there may be clotting and excessive discharge. Yoga Practice – Yoga practice Bottom line if your body gives signals that it wants to rest, listen, make adjustments, and modify your exercise and yoga regime. Gentle stretches may help, but in general not a strong yoga practice. It is also recommended not to do abdominal exercises or inversions (like headstand or handstand) as these poses disrupt the normal flow and can result in more painful and heavy menstruation. Shatavari (Asparagus racemous) is a rejuvenative herb that strengthens and nourished the tissues. It is translated as “100 husbands” implying its role in promoting fertility and vitality used traditionally in maintaining healthy production of female hormones. It is one of those herbs that can be useful from menarche to menopause, supporting the reproductive organs and a healthy immune system. Is available in capsule or powder form. Neti Pot – Once you have tried it you will be hooked. The first sign of a cold flush out your sinuses. The Neti pot is a powerful nasal irrigation system that alleviates congestion and sniffles, provides allergy relief, and clears the sinuses resulting in a clearer breath and interestingly a clearer mind. Saline solutions to unclog sinuses have been used for a while but the neti pot is more effective than saline nasal sprays. To use fill the neti pot up with lukewarm pure water and add ¼ tsp of Himalayan salt. Tilt your head about a 45 – degree angle. Place the spout into your top nostril and tilt the pot so that the saline solution pours out the other nostril Switch and blow out in-between sides. 2 cups of, chopped greens, such as kale, spinach, swiss chard, mustard greens, packed. Blend until smooth Adjust the seasonings if necessary, and return to simmer, 15 more minutes. Add a squeeze of lemon and then serve! Remove from the heat. We are almost fully booked. This leaves one house – the Padi house – which seems really cute! Have a look click here to view. This could sleep up to 4 people comfortably but is maybe best suited for a couple, Mother and daughter or close friends. 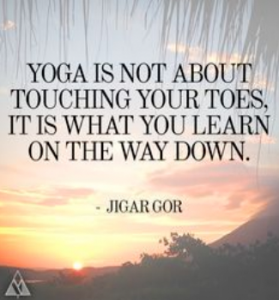 There are a range of age groups, as well as beginners and more experienced yogis so everyone will be catered for. 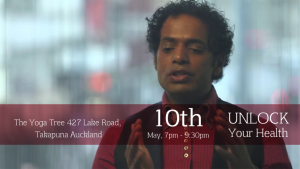 If you are interested in coming please contact me – Click here. It will be amazing! 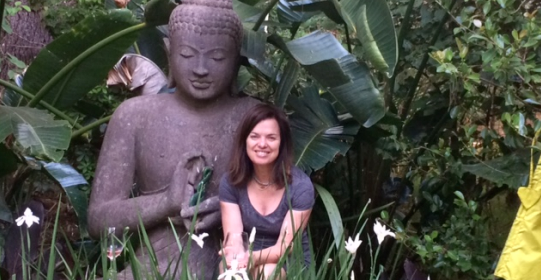 Over the past decade, Perry Macdonald has immersed herself in her passion for Ayurvedic medicine, a health system developed some five thousand years ago by the sages of India, and considered by many to be one of the world’s most enduring, sophisticated and powerful mind-body health systems. Perry loves what she does, and it is obvious that she practices what she preaches, as she radiates beauty, calmness, serenity and positivity. More than a mere system for treating illness, Ayurveda is a science of life (Ayur = life, Veda = science or knowledge). It offers a body of wisdom designed to help people stay vibrant and healthy while realising their full human potential. 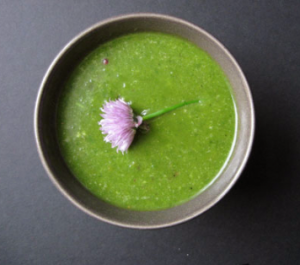 The two main guiding principles of Ayurveda are that the mind and the body are inextricably connected, and that we look at all dimensions of one’s being to see what could have made one vulnerable to getting sick in the first place. It offers countless practices for expanding self-awareness and cultivating an innate state of balance, for instance, through eating well; practicing meditation and getting the right amount of restful sleep. 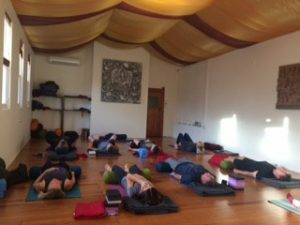 According to Ayurveda, sleep is the nursemaid of humanity, so when a colleague mentioned feeling sluggish, possibly due to poor sleep patterns, it was suggested that she book a session with Perry. Perry works from a tranquil studio with panoramic views across to the sea in Milford on the North Shore. After a friendly introduction, and a brief chat about what was bothering my colleague, Perry suggested commencing with hair profiling: a new technology that measures the resonance of the cells /or the epigenetics of the hair. It is more effective than conventional hair testing — prioritising nutritional needs (vitamins, minerals, fatty acids, anti oxidants, amino acids, EMF’s, toxins and more). You can find out a lot about your present state of health with results of the hair testing during that first session with Perry, who uses the results to assist with treatment advice. Hair test out of the way, Perry set about finding out more about my colleague and her poor sleep patterns. By working out what Dosha type she is, Perry will have a better insight into what might be causing the problem. The Doshas are the energies that make up every individual: there is Vata, Pitta and Kapha Dosha, and it soon becomes clear that my colleague may need to balance Pitta. Perry continues to ask questions, listens to the answers, frequently suggesting alternative and better ways of doing things, like having a routine around sleep, pen and paper by the bed to write down any bothersome and persistent thoughts, the removal of all technology from the bedroom, and making sure there is some sort of interlude between work and home. She strongly encourages a reflective practice and the use of oils/massage when showering or bathing. Contact Perry to make a booking. Diet of course is all-important. A combination of muscle testing, and the results of the hair test emailed back to her from Germany all help to make recommendations. Then there is more chat about various herbs, metagenics supplements and Yoga Nidra — a deep relaxation and guided meditation technique. The session is over for the day and my colleague walks away from this safe-haven with a plan that should help her release what is not working in her life, and restoration of better sleep patterns. A month has elapsed since meeting Perry, and my colleague is looking more rested and calm, and says that the quality her of sleep continues to improve as she becomes more adept at doing the things recommended in her session with Ayurveda Health. A formula that revitalizes, helps to warm up circulation and clear out water retention. It stokes the metabolism (digestive fire) and will help purify the blood. An added bonus is that it tastes good. Place the following ingredients into a tea infuser basket. Pour over freshly boiled water and let stand for 5 minutes.